Eternal Life, a subject that has fascinated humanity from the beginning. We see it emerge in mythology in almost every culture throughout history. In more modern times, Harrison Ford sought it in Indiana Jones and the Last Crusade and legends tell of Ponce de Leon’s quest for eternity in the mythical Fountain of Youth. It’s no surprise that man, from the beginning, has pondered eternity. As Christians we understand that this curiosity is God given and leads us to our Creator and Savior. The Lord wants us to understand the importance of our lives here on earth in the larger context of our eternal life. “Then I saw a great white throne and Him who was seated on it. Earth and sky fled from His presence, and there was no place for them. And I saw the dead, great and small standing before the throne, and books were opened. Another book was opened, which is the book of life. The dead were judged according to what they had done as recorded in the books. The sea, death (people that died and were never buried) and Hades (the grave) all bring forth their dead for judgement. In other words, in this time, the time appointed for humanity’s judgement, every person who ever lived will be present for their individual judgement. Because in our earthly realm, we’re limited in our thinking, it’s difficult to imagine the scale and magnitude of this event. Imagine, if you can, how big the Lord and his throne must be. It took millions of angels to minister to Him and millions upon millions to attend to Him. This is an awesome and terrible time. Those whose names are found in the book of life, meaning those who have been saved by the blood of Christ, will be saved from the second death, and enjoy eternal life with the Lord. Those whose names are not found in the book of life will be immediately thrown into the lake of fire and die a second. This first death is a physical death, the second death is spiritual death. This reality may seem harsh, especially for our earthly minds to understand as we live under a time of grace. In the realm of eternity, however, the laws of Creation that govern our earthly realm do not apply. There is no grace in the eternal realm, there is no forgiveness in the eternal realm and there is no mercy in the eternal realm. Time was created by God to govern earth. The period of grace that we live in as part of God’s earthly creation, is an immeasurable gift from a loving Father that carries an expiration date. We receive countless “do-overs” here on earth. We have a lifetime to recognize and choose Jesus Christ as our Savior. Once you step in to the eternal realm, your decision to be saved by the Son of God, or not, is set. Also fixed is what you did with God’s Son as a believer in your time here on earth. In the eternal realm there are no “do-overs.” It’s interesting to think about the account of Satan’s rebellion within this context. We see that judgment was swift and without forgiveness. This is because the laws in the eternal realm are unbreakable. God says, “I change not,” and because grace, mercy, and forgiveness do not exist in eternity, they could not be extended under any circumstances. There’s a reason that the Bible reminds us throughout scripture that God will forget our sins. 1 John 1:19 says it this way, “If we confess our sins, he is faithful and just and will forgive us our sins and purify us from all unrighteousness.” Phew and praise the Lord!!! If our sins were remembered in the eternal realm, we would face merciless judgement. Because of the redeeming Blood of Christ, they are forgotten, and we will appear blameless on this day of judgement. Unfortunately, the sweeping implications from this day of judgement to our eternal lives is not often taught in church. We have not been warning people about the laws that govern this realm which are absolute and unbending. Laws so rigid that in order for the children that God so loved to remain with Him, he had to die in our place to satisfy the justice and judgement that His eternal realm demands (See John 3:16). On this day of judgement, the Father only judges by what you did on planet earth when you had time to choose Christ; when you had time to live for Him and glorify Him. Please do not misunderstand, for Christians, we are not advocating a works mindset in which you run around doing good deeds so that you’ll have a pile of good “stuff” to be read on the day of judgement. NO, the Lord looks at the heart and the things done on earth that carry a reward are those that are done with clean hands and a pure heart. These are deeds done out of an intense love for God and a desire to glorify God in all that we say, do and think. We’ve spent a lot of time looking at judgement and the laws that govern the eternal realm and how they differ from the laws that govern the earthly realm. For Christians, this time described in John’s revelation is indeed a time of judgement and with that judgement comes rewards according to a person’s deeds. The church does a good job of teaching the gospel and leading people to salvation in Christ but does very little in the way of teaching believers about preparing their lives in the eternal realm. 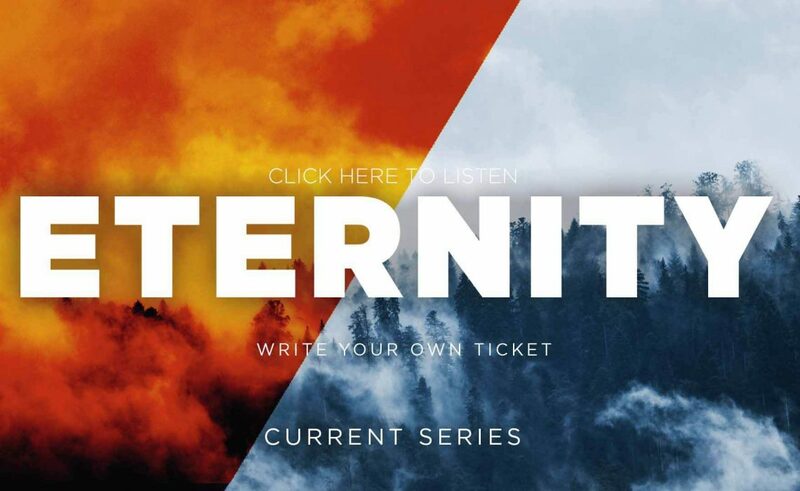 This blog post is the first in a series about eternity and eternal life. In our next post, we’ll explore treasures stored up in heaven based on our deeds here in the earthly realm. We already learned that we get this one, fleeting life here on earth to live under grace and the redemption of The Son. What will you do with this time that will impact your life for eternity? If you are interested in hearing, this entire message you can find it by clicking on the link below. Also please visit Lionheart Church Homepage to learn more about what is important to us in helping the body of Christ. You can also visit our media page to listen to all of our sermons. Feel free comment below or reach out to us anytime with any questions you may have at info@lionheartchurch.org.